The world is moving into a realm of miniaturization with the boom in nanotechnology, the state-of-art technology that steps its feet in a lot of domains. Right from the kitchen utensils we use, to the cars that we ride, one will be able to find a glimpse of nanotechnology in it. A nanotechnologist has the ability to manipulate a material in the atomic scale, which means they basically work with the foundation of matter. Nanotechnology has shown promising development in the arena of renewable energy – something the world really is in thirst of. In this contest, here is now nanotechnology can contribute to one of the most important renewable energy source – the sun from which solar energy can be converted to electricity. Solar energy is the conversion the photons from the sunlight into direct current by trapping the electrons and holes in a medium (say a silicon wafer). There are various generations of solar cells. These cells use the conventional silicon wafer and silicon chips to formulate the arrays. One can usually find them in rooftops and these find application in heating. However, these were not able to quench the thirst of the scientists who feel that their efficiency is practically low and also that it is heavy, bulky and occupies too much space. 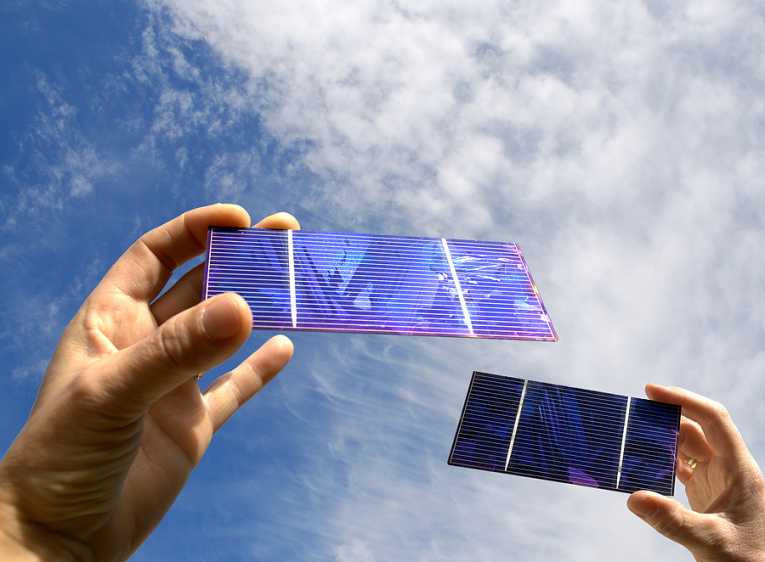 These are the thin-film solar cells and they involve the use of amorphous silicon, CdS (Cadmium Selenide), and CIGS (Cadmium Indium Gallium Selenide). These cells were flexible up to an extent and it also lowered the production and fabrication costs as compared to the first generation cells. But these did not show much efficiency as compared to the former. Another major issue was that certain elements like indium were not easily available in nature. These cells use organic and inorganic molecules to combine the excitons or the electron – hole pair to create current. It commonly uses nano-sized particles. 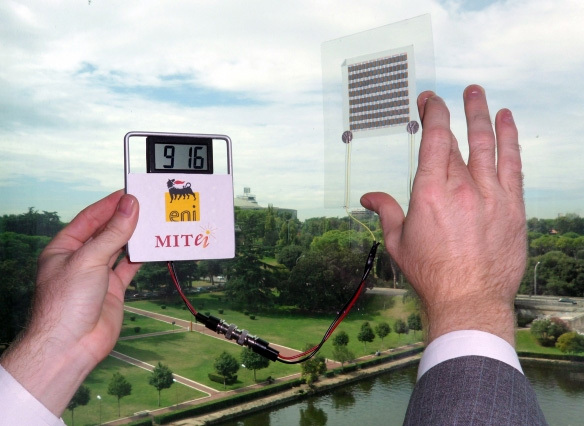 These solar panels are extremely flexible and are sometimes even transparent due to the use of zinc-oxide nanoparticles. The world is currently further researching and developing this technology. With lots of ongoing researches in India’s premier institutes, there has been a lot of improvement in the renewable energy sector. 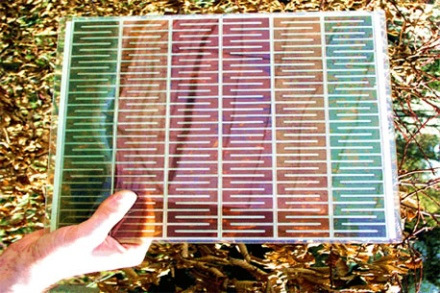 Creation of foldable solar panels (thin films) is one such. These are known as DSSC (dye sensitized solar cells) and are usually made up of TiO2 (titanium-di-oxide) nanoparticles that are sandwiched between a dye and glass plates. Other materials with a semiconductor band gap can also be used to make DSSC. For example – zinc oxide, which is the cheapest of them all or Titanium IV oxide and other organic cyclic compounds. K.Kalyanasundaram, a senior scientist at the Swiss Federal Institute of Technology, Lausanne, Switzerland is the one who is working on this technology and is responsible for developing these foldable panels at an affordable cost. In the year 2010, the product was first launched in Hong-Kong by fitting them in backpacks. After carrying out a feasibility of use experimentation it was made commercially available there.